It’s been a while since Shabazz The Disciple and Hell Razah have graced the same track; on A Stone’s Throw the Sunz Of Man MC’s join Cas Metah to bless a heavy beat from Theory Hazit, with killer cuts from Mista Sinista (X-Ecutioners) and EF Cuttin. As a core member of international Hip Hop collective Scribbling Idiots, Metah has been puttin in work for years; sharing stages with The Pharcyde and Blueprint, and collaborating with Cunninglynguists and Masta Ace. This year sees him linking with Seattle-based label Illect Records, as he continues building on the cornerstones that have defined his career; love for the culture and skill on the mic. Shabazz blesses the melody with a memorable hook; while his verses are instilled with the timeless quality that truth possesses. 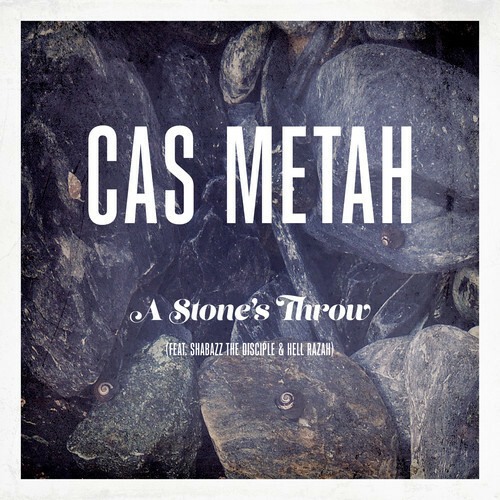 Synth notes elevate the second verse as Cas Metah’s cautionary drug tales seek to incite positive social change, and Hell Razah pens esoteric lines littered with jewels of knowledge. All the three emcee’s set the lyrical levels sky-high on this banger, it seems Illect Records and Cas Metah are going to be names to look out for as the year progresses. You can buy the single here, or here. Edinburgh isn’t the first place you’d look for new music that has that classic Hip Hop sound; but this production duo from the Scottish capital have captured that golden era tone perfectly with two dope cuts off their latest album The Product. After self-releasing the LP digitally and on CD, this month sees the DJs linking with UK vinyl heads Dusty Platter to release the ill new 7″ single Move. The A side features legendary Polyrhythm Addicts MC Apani B Fly; and finds her cool flows floating on mellow double bass lines on a structurally flawless song. With chorus cuts that assert the crew’s traditional tastes, and verses that deliver witty wordplay untainted by negativity; the title track is exactly the kind of laid-back lyricism that keeps Hip Hop’s original vibe alive. The B side features one-time Swollen Members MC Moka Only, who’s constant presence in in the Canadian scene over the last decade has brought him deserved recognition as a producer and emcee. On Frequency his rhymes lean on expertly assembled flute chops with an ease you’d expect from his seasoned stature; and as the producers prove their ability with another immaculate instrumental, their tasteful choice of chorus sample makes the single’s flipside as essential as the main cut. As if two first-rate tunes wasn’t enough, they’ve also included the instrumental Tape Deck, with a heavier, boom-bap steez to round off this indispensable wax. If you’re looking to switch up the whiny, nasal, rap aggression pumped into your ears daily with something cleansing; and are feelin the intelligent eccentricity of Del, coupled with the cool rhythmical flows of Lone Catalysts, this one’s for you. Dusty Platter are pressing 300 copies, with a Shipping date around the 23rd of June. Pre-order the single here, and check out the rest of the album here. 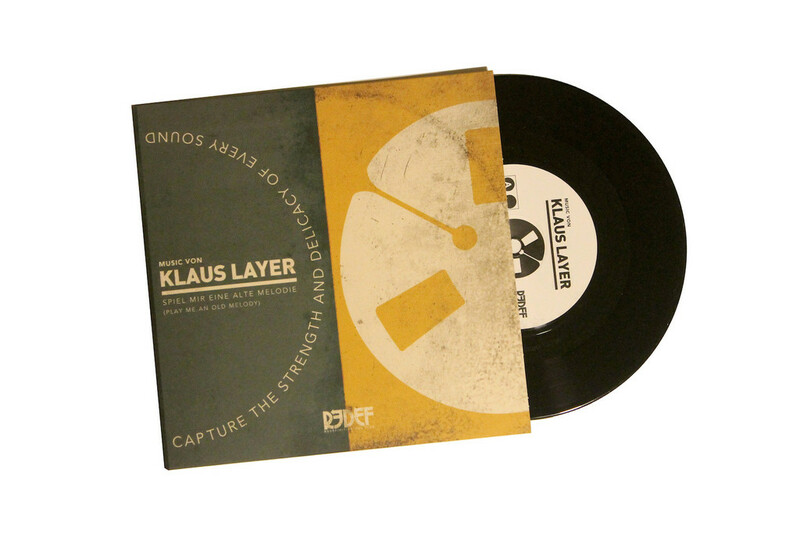 Since Klaus Layer dropped his Adventures Of Captain Crook tape on Redefinition Records last year, fans have been clambering over themselves for a physical release from the German beatmaker. Never a label that disappoints, Redef have dropped an exclusive 45 featuring two previously unreleased tunes; both of which require a firm neckbrace for repeated listening. Play Me An Old Melody captivates with an understated approach as ascending scratches echo over granular drum loops, and Come Back brings balance to the 7″ with Blu and ScienZe gettin loose over faded horns that sail through the mix; capturing Klaus’s undoubtedly appealing old school leanings. 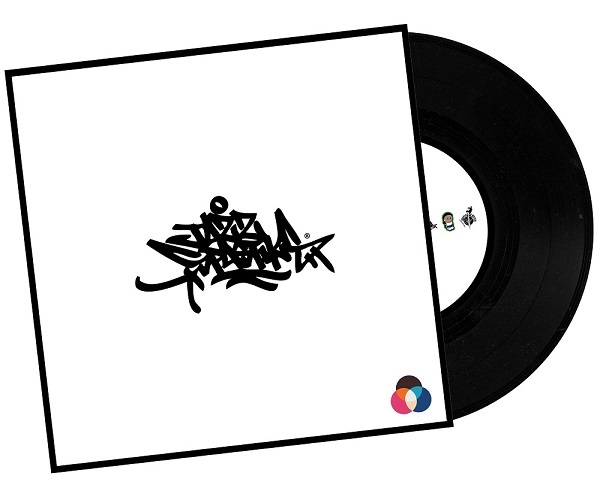 If you’re patiently waiting for new beats from the MPC masters over at Redef, this 45 and the recently reissued Crook tape on green wax will tide you over nicely. 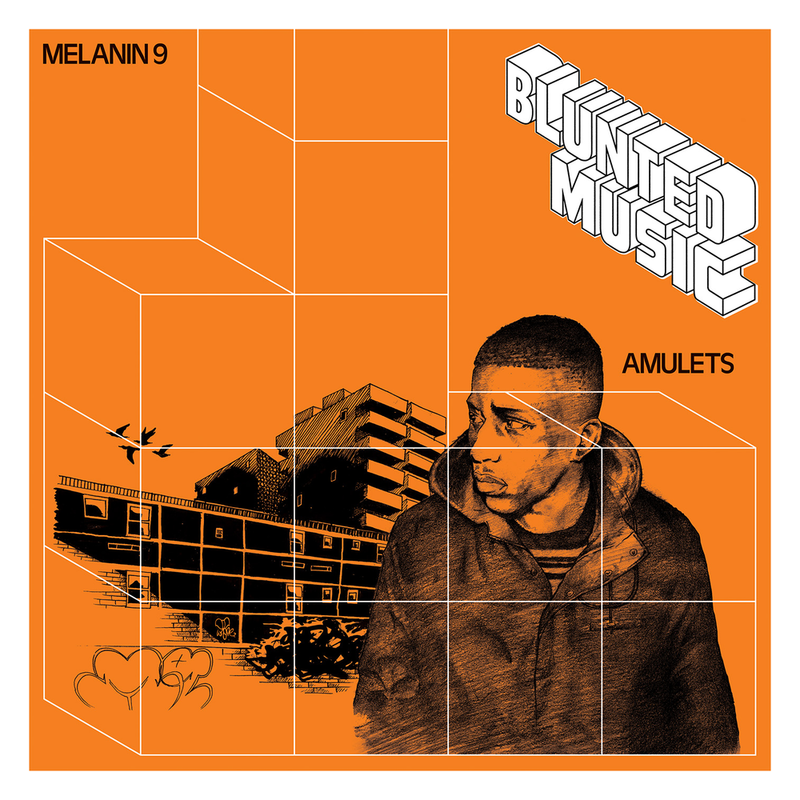 You can look, but it won’t be a simple task to find homegrown lyricism as skilful, intelligent or profound than when Melanin 9 is blessing a mic. His classic, must-have Magna Carta LP was lyrically superior, and lightyears ahead of it’s Roc-a-Fella derivative when it dropped last year; and after many months spent building with Triple Darkness, April sees M9 combine forces with London-based label Blunted Astronaut to drop an exclusive new solo single. Amulets is yet another lyrically deep, stylistically rich cut from the writer’s prolific pen. The efficacy of M9’s delivery lies in his ability to spark your innate desire to learn. By making specific reference to historical, spiritual and occult subjects through his expansive vocabulary; he treats the listener with an intellectual respect that few MC’s manage to pull off without sounding showy; ‘I toured the globe as a ghost of my soul’s steps, drenched in cold sweats beneath a sub-zero cloud, emotions left buried in doubt, blowing nostalgic nouns from astronomical perceptions, forced to glance evil’s reflection as I dance in the tempest.‘ The Summit’s instrumental encompasses traditional beatmaking but adds enough modern elements to ensure their take on boom bap stays current; and as thick horns cradle DJ Ping’s chorus chops, the hook is sure to be one of the catchiest you’ll hear from the underground this year. Cloudsteppa harks back to the MC’s mixtape days as he pens precise lines over DJ Drinks’ claustrophobic instrumental; flowing rapid yet coherent as he relays his unique perspective through a mastery with words; ‘Asphyxiate your chords like Galaktus, the Moorish blacksmith, with planets orbiting my chakras.’ Lewis Parker spits with his usual cool demeanour; dropping simile’s and old school film and tv references like most rappers drop F bombs; leaving Variation Music’s Vinyldigger to close the song with short stabs of static transformed by his crossfader. Parker’s Cloudsteppa Remix surpasses the original, winding down this dope release as his SP cranks out dusty drum loops and samples that simulate old detective films. Amulets undoubtedly deserves a place in your collection; and with plenty more to come from the Triple Darkness camp, and his 2007 début High Fidelity set for a vinyl-0nly re-release in May; 2014 is shaping up to be yet another pivotal year for this highly talented MC. Buy the single on wax here.